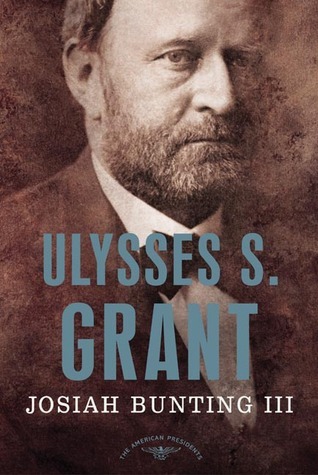 As a general, Ulysses S. Grant is routinely described in glowing terms-the man who turned the tide of the Civil War, who accepted Lee's surrender at Appomattox, and who had the stomach to see the war through to final victory. But his presidency is another matter-the most common word used to characterize it is "scandal." Grant is routinely portrayed as a man out of his depth, whose trusting nature and hands-off management style opened the federal coffers to unprecedented plunder. But that caricature does not do justice to the realities of Grant's term in office, as Josiah Bunting III shows in this provocative assessment of our eighteenth president. Grant came to Washington in 1869 to lead a capital and a country still bitterly divided by four years of civil war. His predecessor, Andrew Johnson, had been impeached and nearly driven from office, and the radical Republicans in Congress were intent on imposing harsh conditions on the Southern states before allowing them back into the Union. Grant made it his priority to forge the states into a single nation, and Bunting shows that despite the troubles that characterized Grant's terms in office, he was able to accomplish this most important task-very often through the skillful use of his own popularity with the American people. Grant was indeed a military man of the highest order, and he was a better president than he is often given credit for. Ulysses S. Grant rose from obscurity to head the victorious Union army in the Civil War and later became President. General Robert E. Lee surrendered the Army of Northern Virginia to General Ullysses S. Grant at Appomattox Courthouse, effectively ending the Civil War.